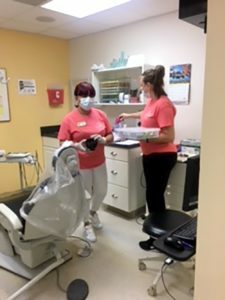 On April 28th, Danville Dental Associates reached out to the community to support our area students with a project called “Smile for Schools”. Patients were offered at-home bleaching kits regularly valued at $399, for a $100 donation to be given to the patient’s designated school of choice. These included public or private schools; primary, middle or high schools; and special needs schools in Danville City and Pittsylvania County areas. 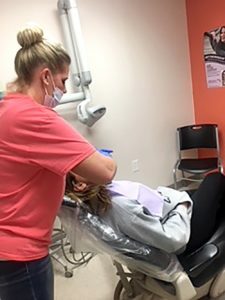 The schools may decide how they wish to use the funds they receive from Danville Dental’s patients. It may be distributed to the school’s PTO or PTA, an athletic or academic boosters club, the band boosters or any worthwhile area of need for that particular school. During our second event 36 patients were seen enabling a donation of $3,600 to the schools. Last year, $8,400 was raised during the event for a combined total of $12,000, given to support local schools. You can find more information about “Smile for Schools” on our website, www.smileforschools.com. The staff of Danville Dental Associates would like to express their appreciation to the patients who participated and offer our apologies to those patients we were unable to schedule due to lack of appointment space. We are also grateful to the staff members who generously volunteered their time to the event: (Dentists) Dr. Albert L. Payne, Dr. Jeffrey A. Clifton, and Dr. Donald Cairns; (Office Staff) Misti Searcy, Teresa Cook, Chelsie Vaughan and Shakeia Graves; (Dental Assistants) Kim Sadler, Amy Harris, Marty Goins, Ellen Wallace, Amanda Austin, (Other Volunteers) Kara Searcy. 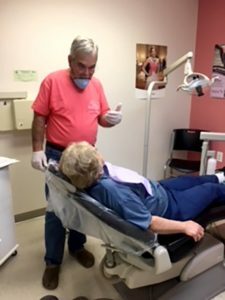 Your dentist in Danville, Dr. Chris Payne, earned his Doctor of Dental Surgery degree from the Virginia Commonwealth University’s School of Dentistry. He’s always believed in the importance social responsibility and giving back to the community whenever possible. To learn more about his practice, contact him through his website.